We are happy to say that Sabrina has said yes to the dress. What a wonderful time we had at The Bridal Collection. Sabrina will, without a doubt, be a beautiful bride. Here are a few photos from the dress shopping appointment. Happily ever after. Sabrina with her mom and BFF. A huge thank you to The Bridal Collection for donating this beautiful dress. I was fortunate enough to join Sabrina and Rex along with Ann Marlin from Cloud 9 Weddings for a few of the vendor meetings. 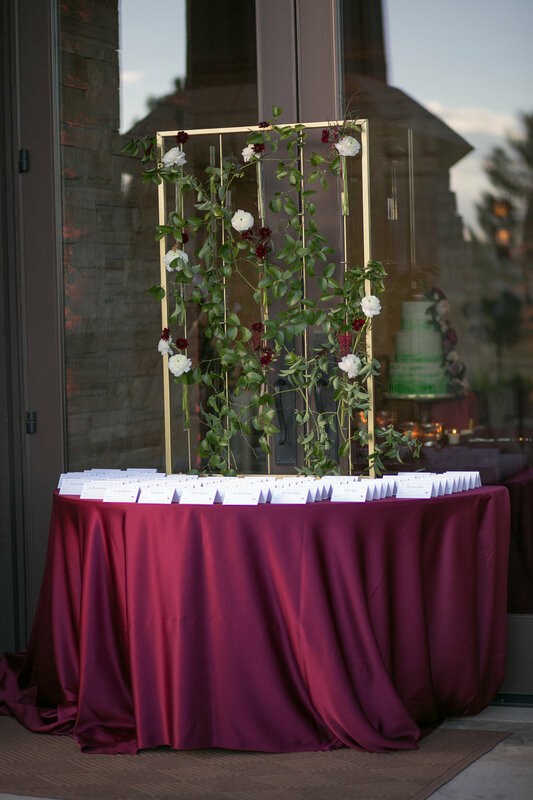 We are always appreciative of our vendors who go above and beyond to make The Wedding Pink a special day. 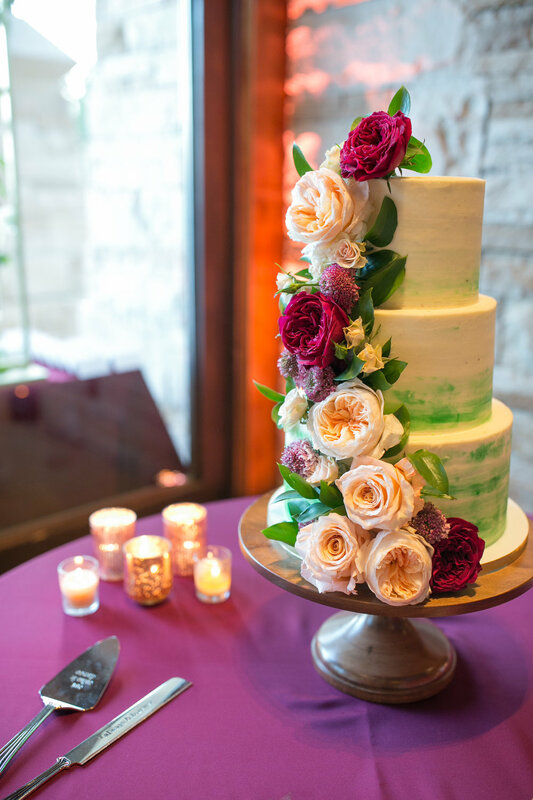 We met with Janelle from A Design Resource (florals), Chris the DJ from Elite Entertainment and Lisa from A Cake Come True. 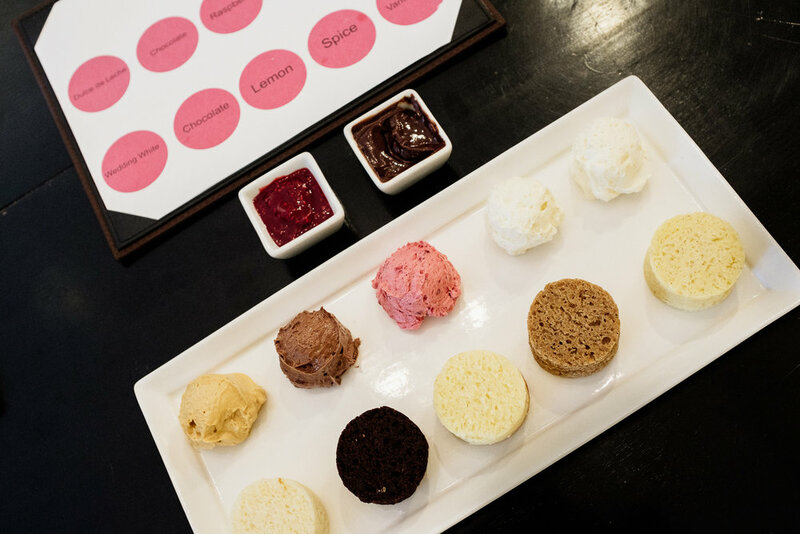 Who doesn’t like cake tasting on a Thursday afternoon? It was amazingly delicious! Next up is the wedding dress! It’s another one of our favorite days to share with the bride and her family. Stay tuned for photos. 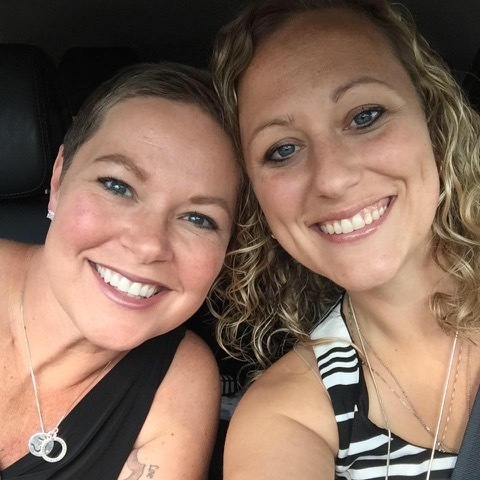 As you know by now we recently announced our recipients of The Wedding Pink 2019. This year’s couple, Sabrina and Rex have a unique story. 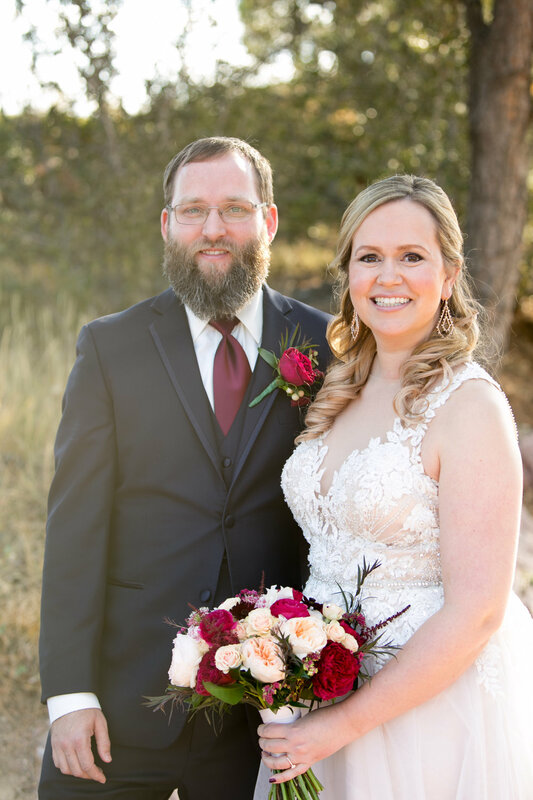 They are both equally deserving of this wedding; Sabrina is a young, breast cancer survivor and Rex is a retired, decorated, Purple Heart recipient Marine. They are both a joy to be around and we are now blessed that they are part of our Pink Family. Rex proposed to Sabrina almost 2 years ago. We would love to share the proposal video. A nice little surprise landed in my inbox yesterday. 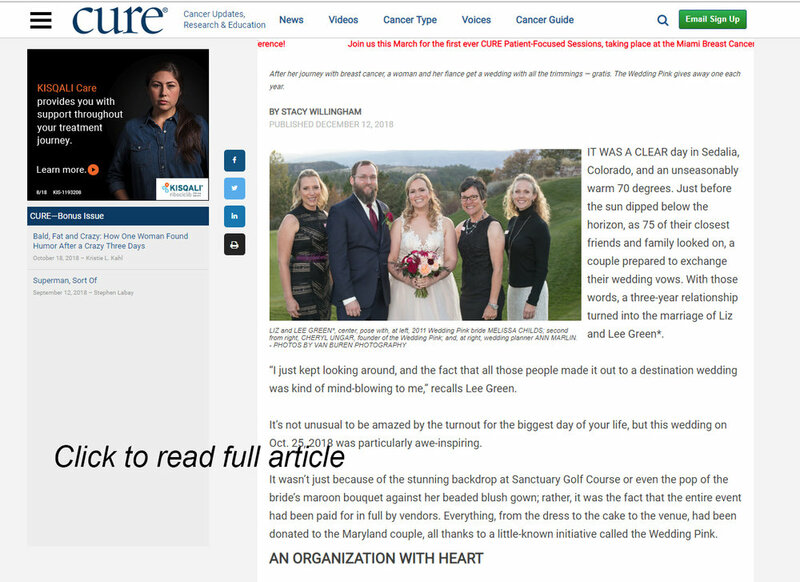 Cure (curetoday.com) has published a lovely article about The Wedding Pink. We are very honored. 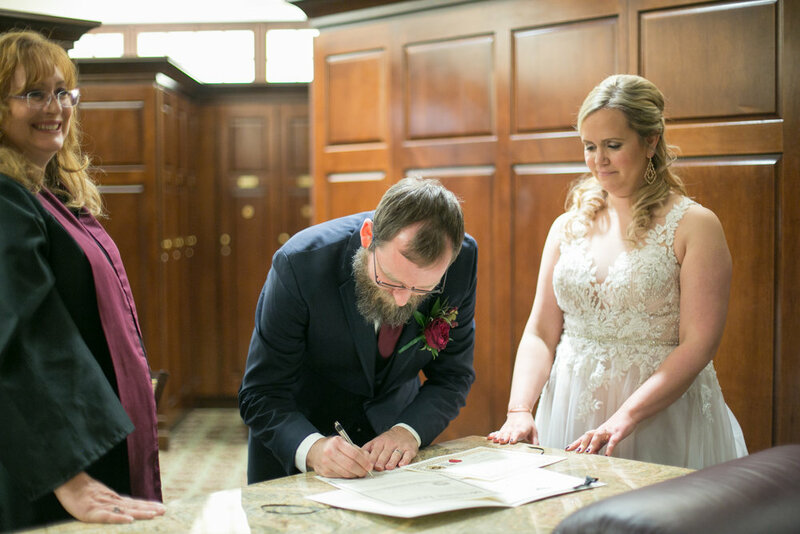 It's hard to believe that a month has passed since our beautiful wedding day. In looking back over the last year, we're so grateful to have been chosen for this experience. It was an enormous blessing in our lives and a time that we will cherish for years to come. 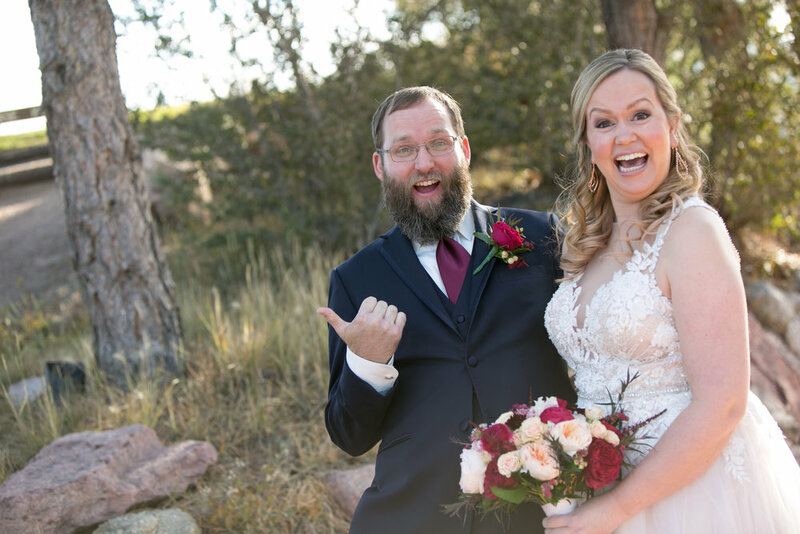 When we applied in November 2017, we didn't actually believe that we could be the chosen couple. It's like buying a lottery ticket-- it's fun to dream about winning, but you don't think that you'll actually win the jackpot. The shock and awe that we felt upon finding out that we had been chosen stayed with us throughout the planning process. 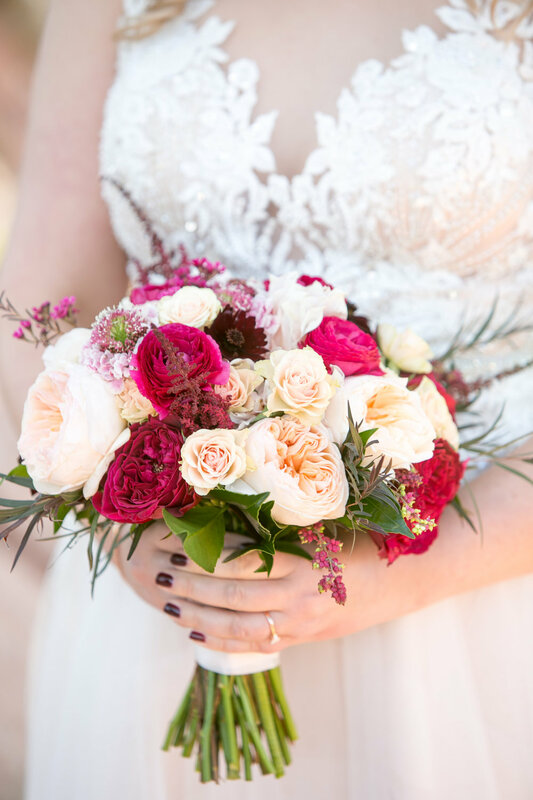 It's hard to feel worthy of such a spectacular gift, but we are so thankful that The Wedding Pink chose us. 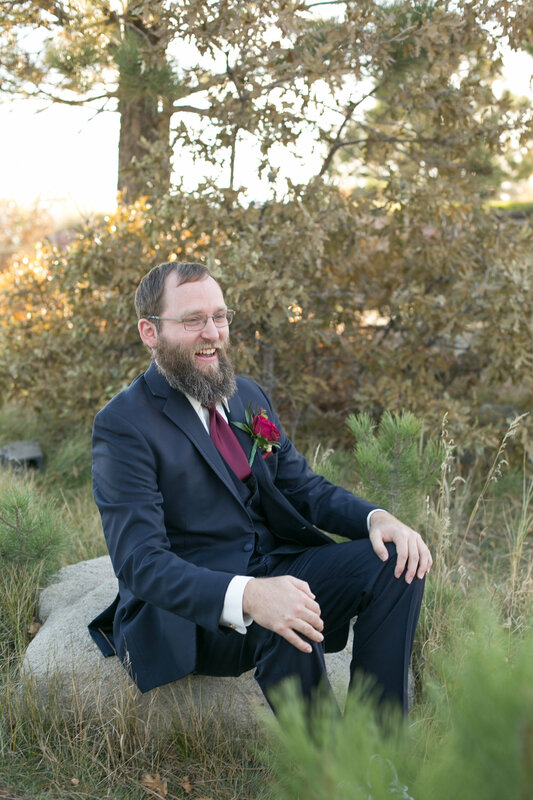 From our first visit to Denver in March of 2018, we knew that this would be a wonderful experience. 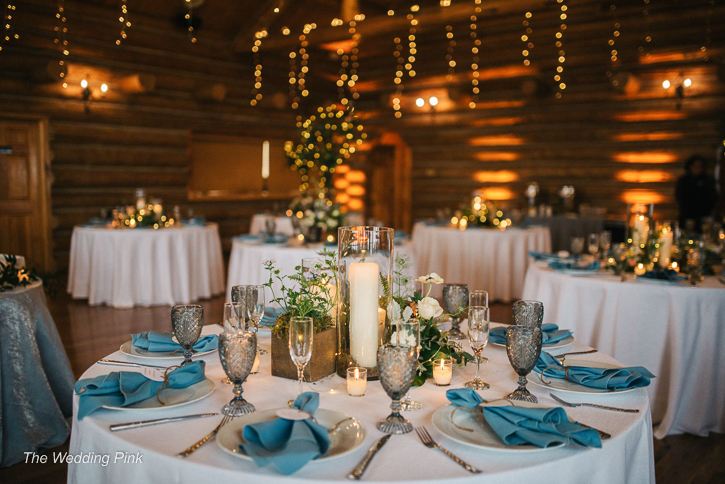 During our first meetings, our wedding planner, Ann Marlin, was a pleasure to work with and made made everything so easy for us. 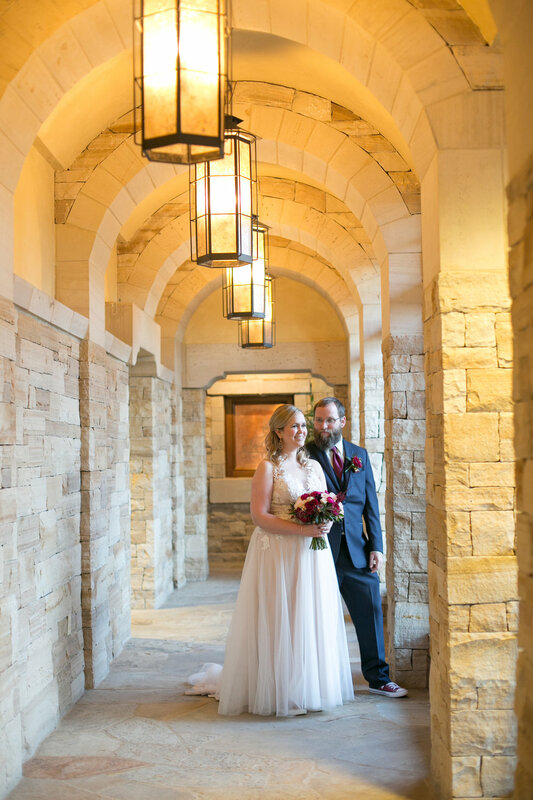 During that trip, we saw our amazing venue-to-be at The Sanctuary golf course in Sedalia, met with our florist Janelle, selected a wedding dress at The Bridal Collection, and worked with our wonderful photographer, Katie Van Buren. 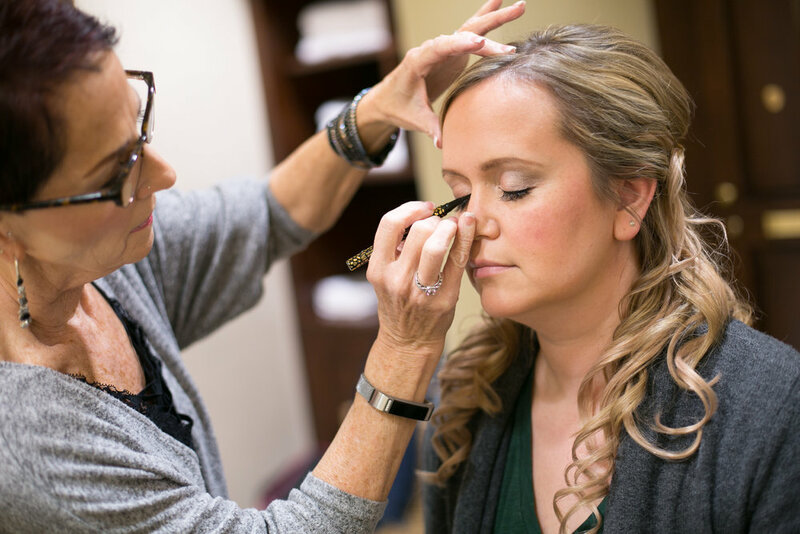 Liz even had a chance to do a makeup trial with Cynthia of Magnifica Bella and felt so beautiful on the day of the engagement photos. It was such fun to meet Cheryl, Melissa, and other members of The Wedding Pink family. We felt very welcomed into this wonderful community. On our second planning trip in July 2018, we worked on further details for the big day, including meeting with Rev. 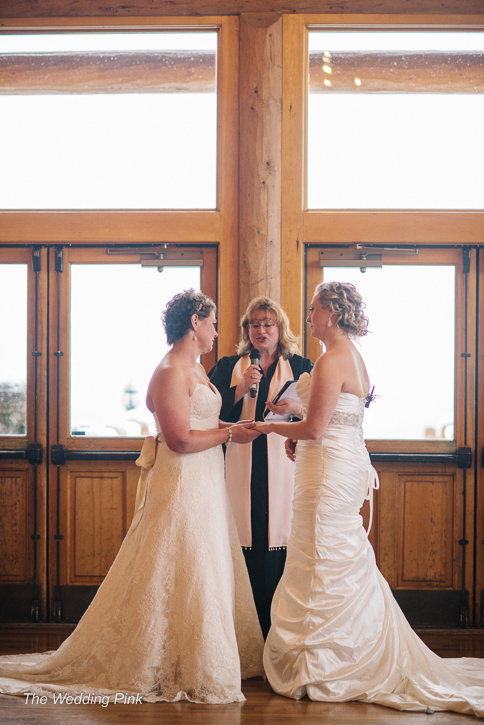 Kim Tavendale, who worked closely with us to ensure that our ceremony would be perfect. 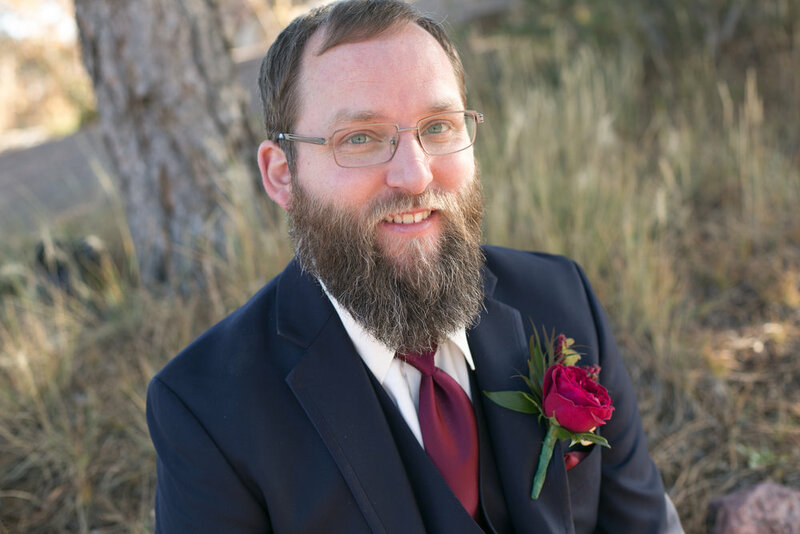 We also loved meeting Chris, our DJ from Elite Entertainment, and Turi Gustafson, who helped to customize the music for our ceremony and reception. 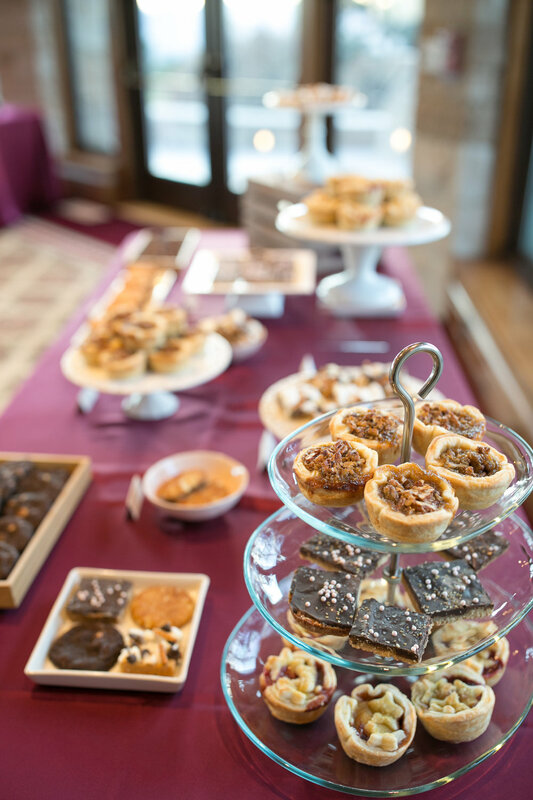 We also got to meet with our awesome caterers from Relish Catering, and Lee's favorite part of the whole experience was tasting the delicious cakes with Lisa from A Cake Come True. We topped off the visit with a meet-and-greet with our vendors at Kendra Scott Jewelry, where we loved visiting with everyone and celebrating over wine and cheese. 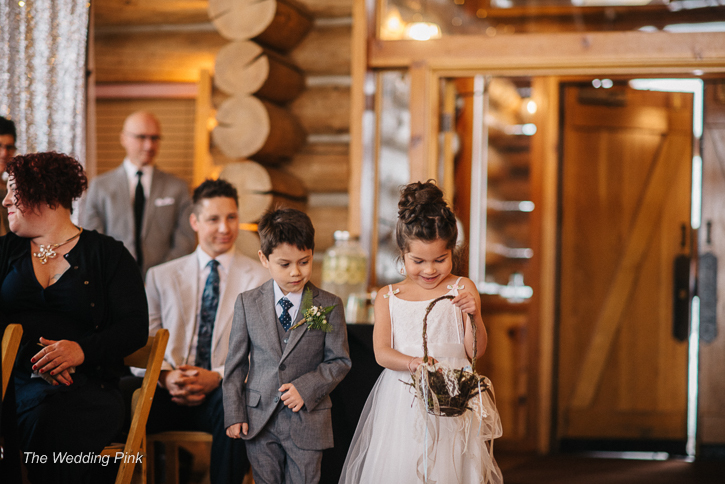 When it was time for the wedding day, we couldn't have asked for a better experience. It was a beautiful Colorado fall day with clear skies and a chill in the air. While everyone says that your wedding day is never perfect, it truly was perfect in our eyes. 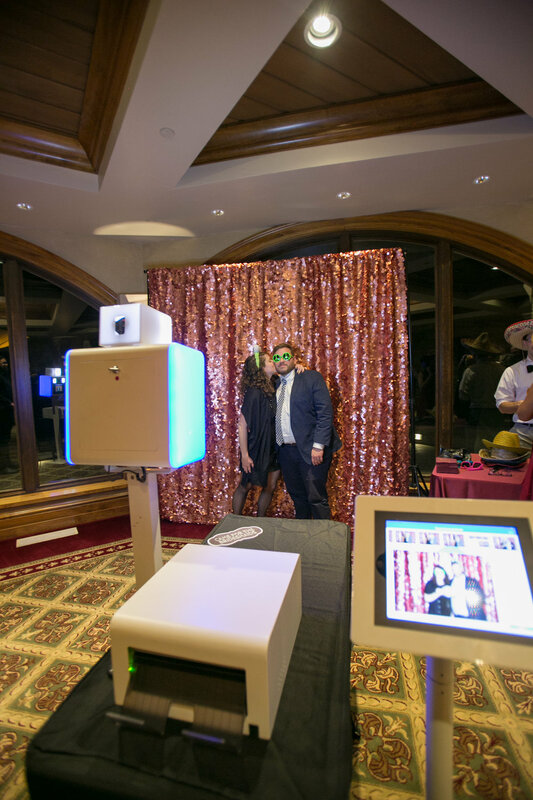 From the lovely ceremony to a delicious dinner and a raging dance party, we had a blast with all of our family and friends in attendance. Throughout the day, we felt excited, grateful, and so happy to be there. 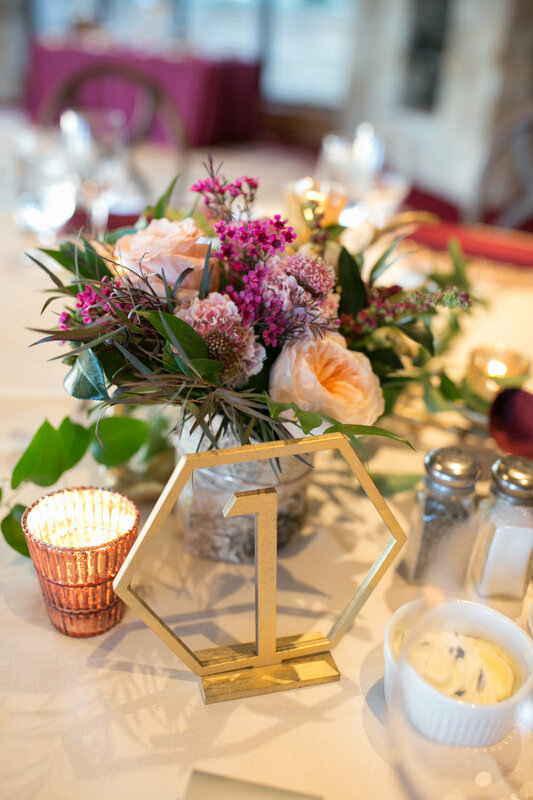 All of our vendors, Ann, and The Wedding Pink team worked tirelessly to make it a beautiful, stress-free experience for us, and we are forever grateful to everyone involved. Many thanks to The Wedding Pink for making this possible for us and for future couples in the years to come. Liz + Lee are Married! Sneak Peak! What an amazing day. Beautiful bride, lovely weather, everything was perfect. Here is a sneak peek of images. A full gallery of photos coming soon, please stay tuned. Thank you to our fabulous photographers, Katie Van Buren and Paige Eden. 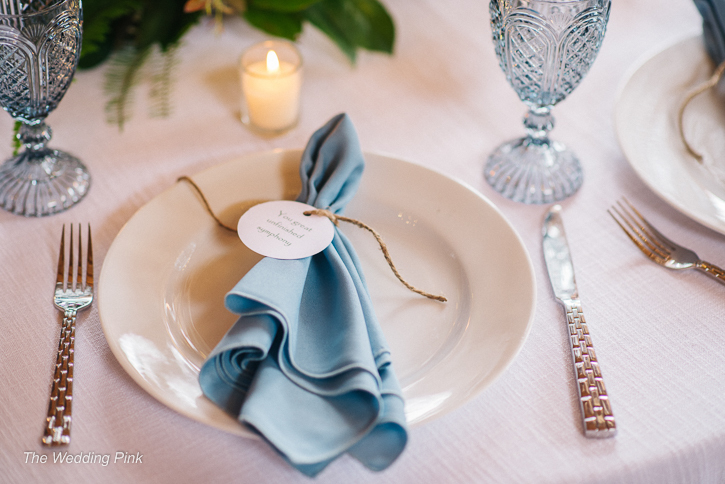 We are pleased to announce that Ann Marlin of Cloud 9 Weddings has joined our board of directors as Co Vice President. 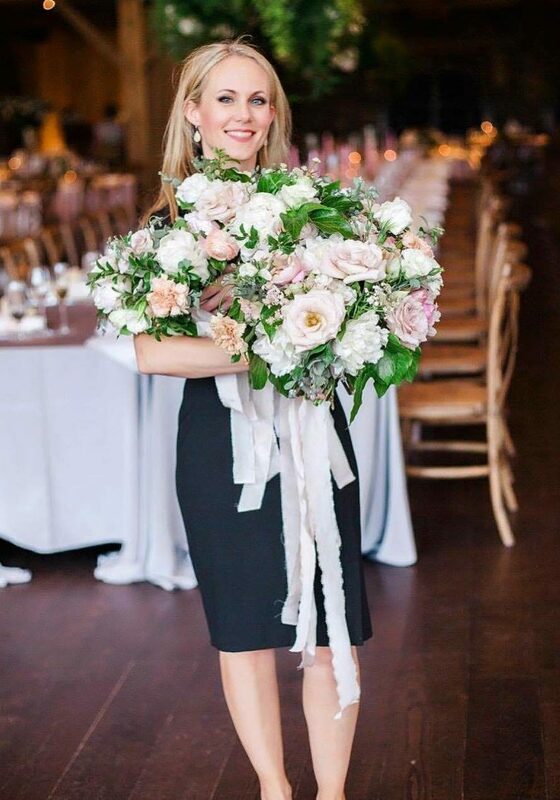 She has been an integral part of The Wedding Pink since 2013 and we are thrilled to have her on our team. 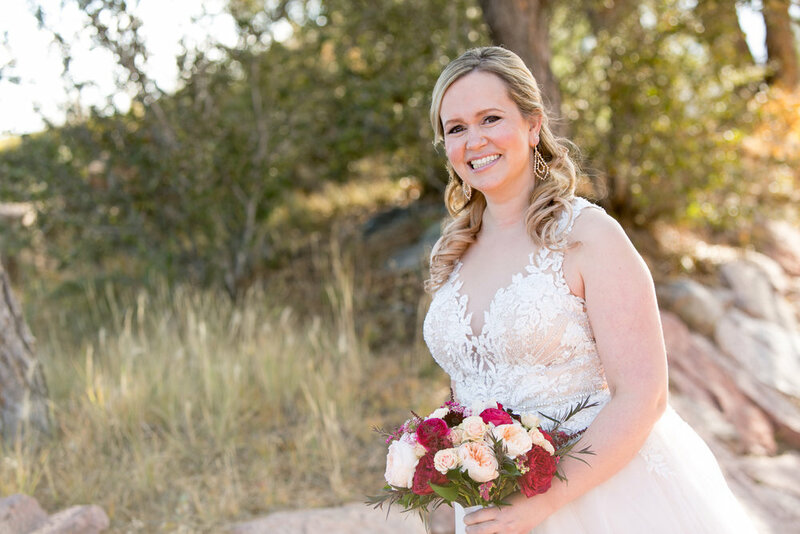 Ann is the CEO and Lead Designer at Cloud 9 Weddings. 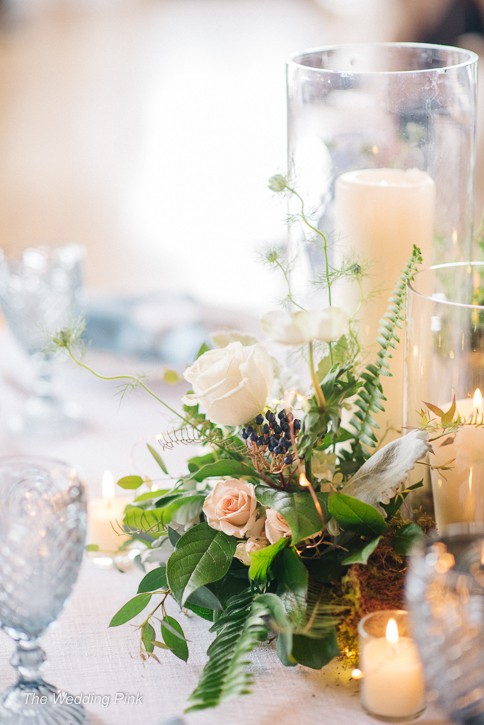 She has been planning weddings and events since 2000. 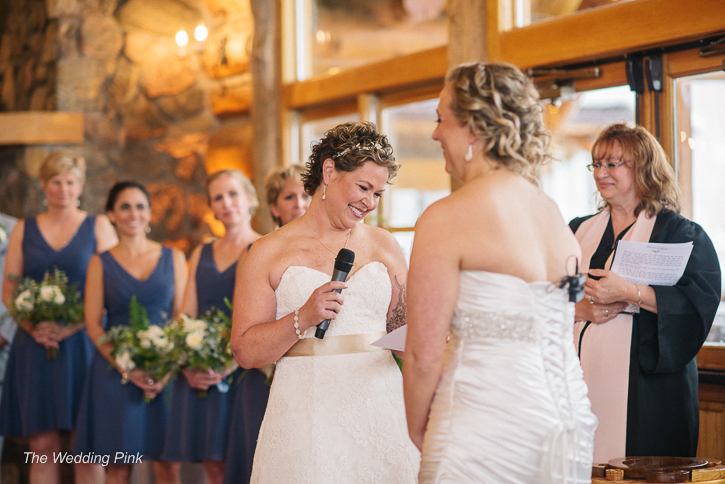 She brings extensive event planning experience, enthusiasm and fresh ideas to every wedding and event. 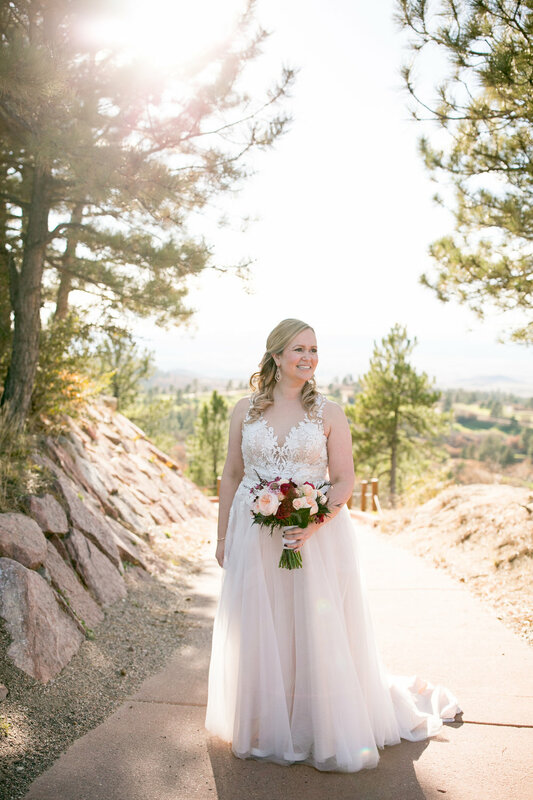 Ann has planned and executed over 300 weddings at most every popular Denver-area venue including out of state weddings and has relationships with the finest wedding and event vendors. We were so happy to receive Liz and Lee's engagement photos from Katie Van Buren of Van Buren Photography. They are all very beautiful and we can't wait to share them with you. Here is a sneak peek, the full gallery can be viewed here. As the first bride to be awarded this amazing gift, and also a member of the board of The Wedding Pink, I have been lucky enough to witness many beautiful moments throughout this journey. 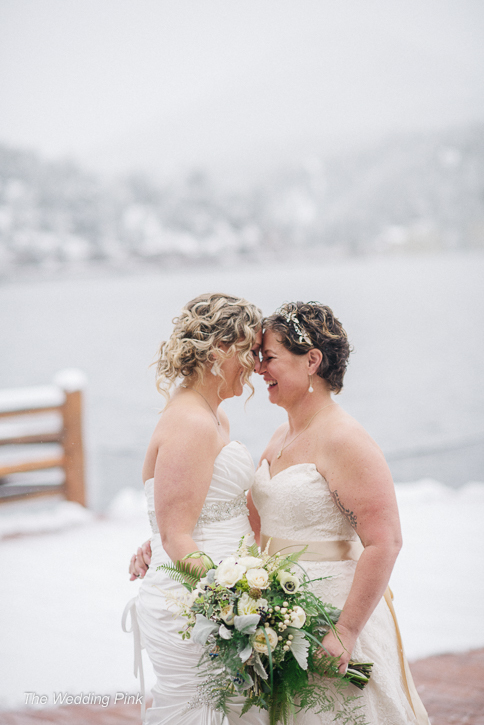 So far, we have helped eight couples by giving them their dream weddings, right here in Colorado. 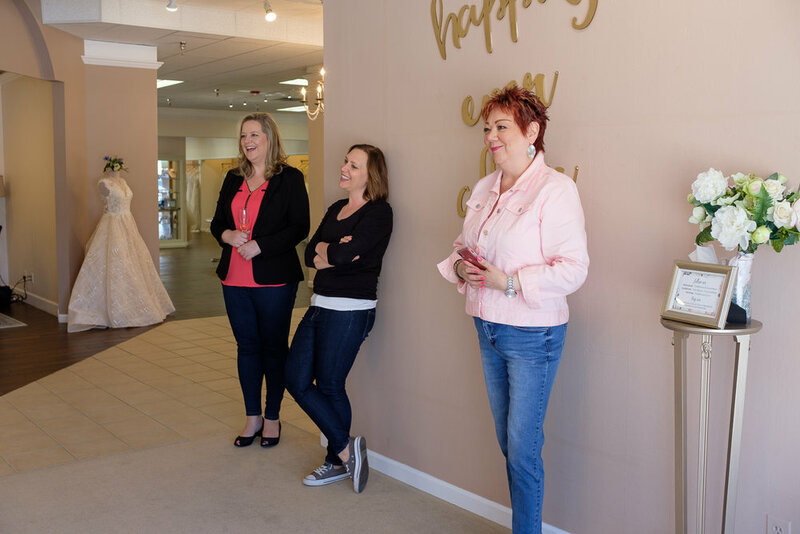 One of my favorite parts of The Wedding Pink process is wedding dress shopping. Our brides have graciously allowed me to join in their once-in-a-lifetime experience, and for that I’m so grateful. I’ve met mothers, sisters, best friends, and it really makes me feel like we’re all one big family. Our “Pink Family” as Cheryl Ungar, our founder, likes to call it. 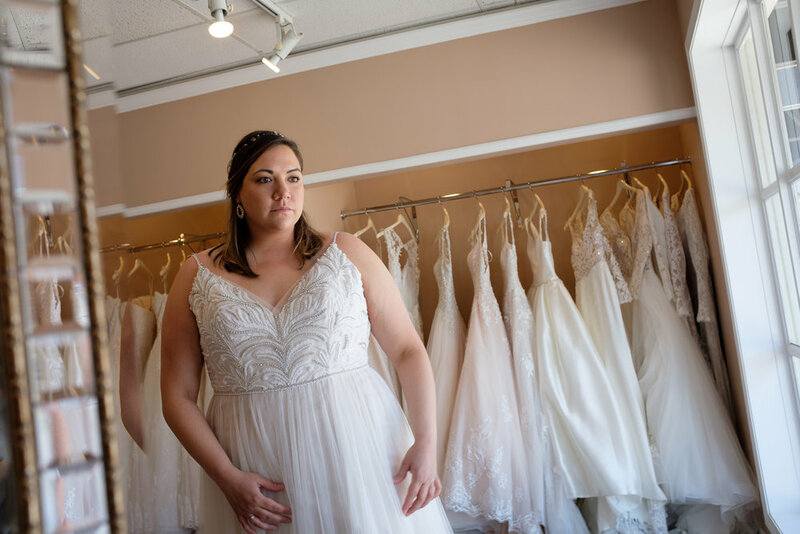 For the second year in a row, we have been lucky enough to partner with The Bridal Collection for our wedding dress needs. 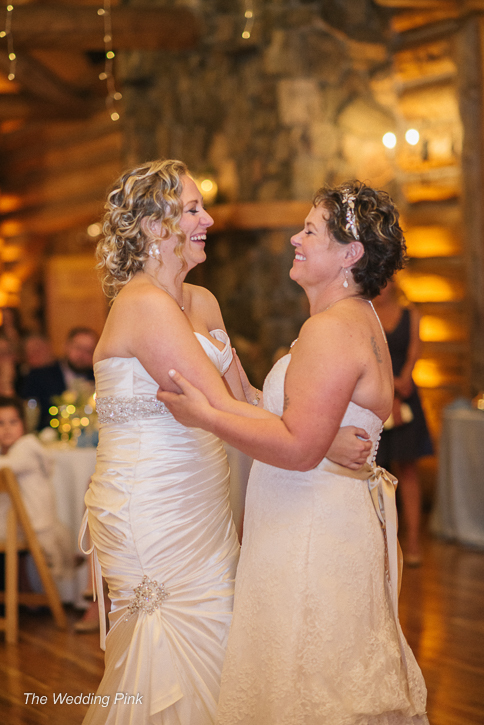 Last year, The Bridal Collection graciously donated two beautiful gowns to our 2017 bride, Laurie, and her wife Jessie. 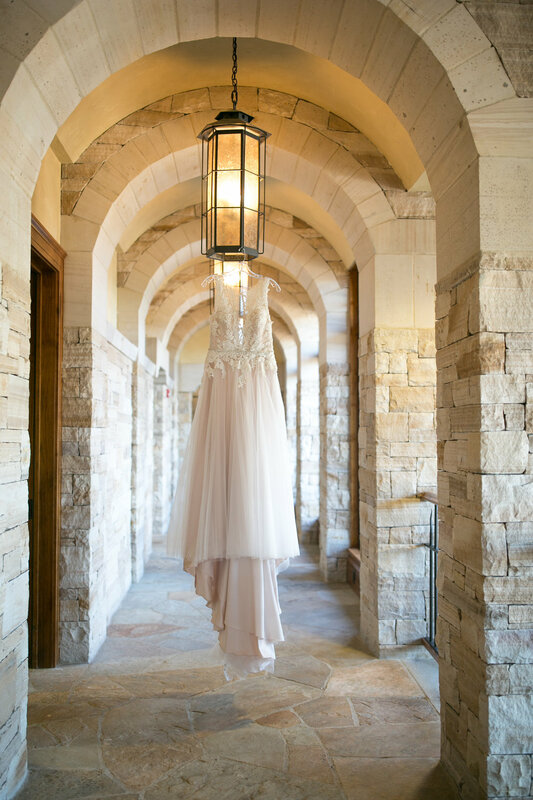 Jordan was our stylist and she was able to find two dresses that perfectly matched each of our brides’ personalities. 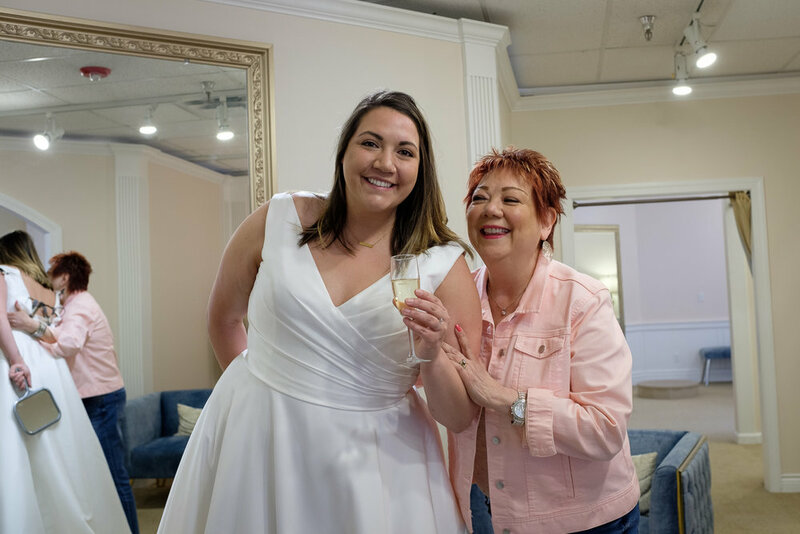 This year Jordan was at it again, helping our 2018 bride, Liz, find her dream dress. 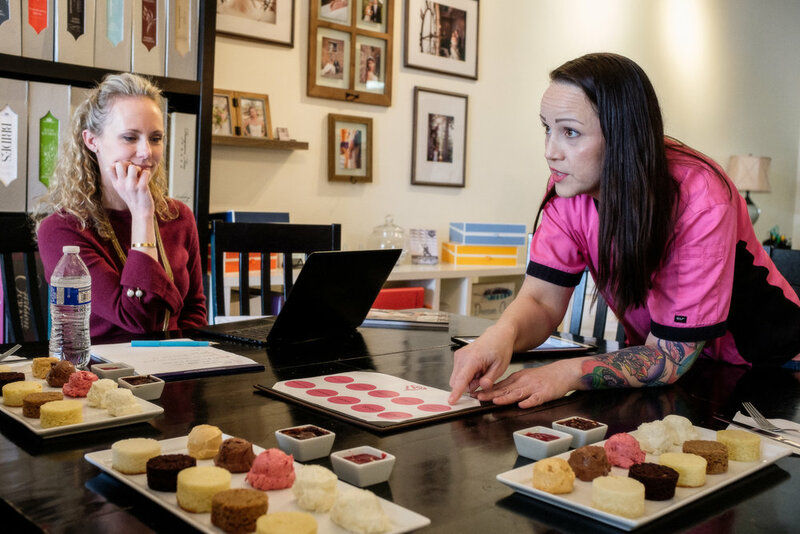 Liz was in town from the East Coast last week doing some wedding planning with our rockstar wedding planner Ann Marlin of Cloud 9 Weddings. 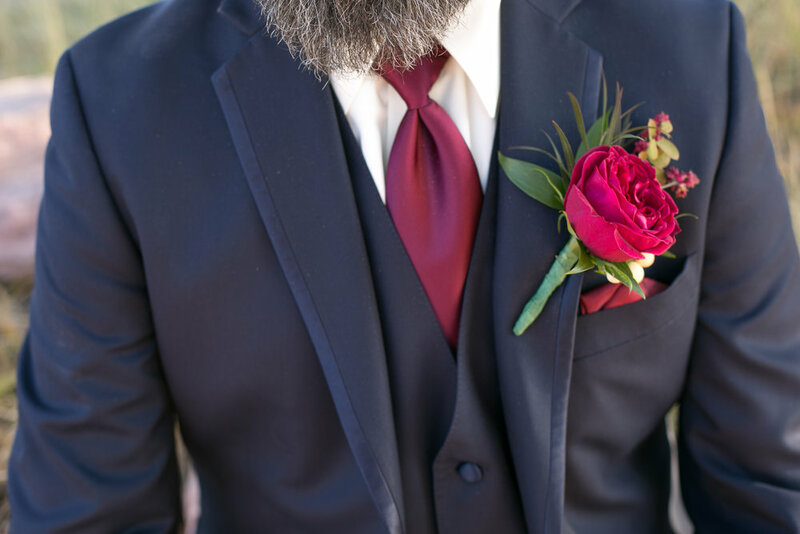 While The Wedding Pink is a Denver-based non-profit, we accept submissions from all over the country. 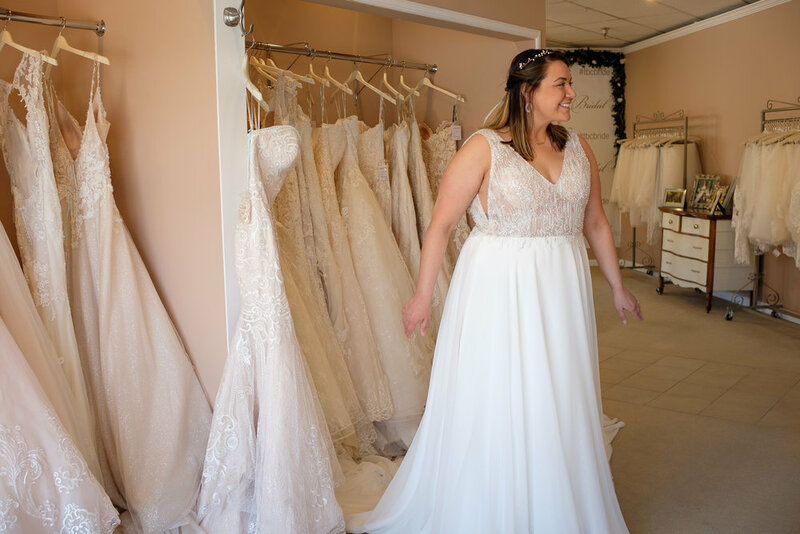 Because we needed to fit as much planning into one weekend as we possibly could, The Bridal Collection was tasked with the tough job of getting Liz to “Say Yes to the Dress” in one 90-minute appointment. Jordan was up for the challenge. She would come sweeping through the sitting area under a mountain of fabric, pulling the dressing room curtain closed, while we sat with baited breath, waiting for Liz to come out in each dress. Jordan dazzled us with fancy words like moonstone, Swarovski, and French lace. It’s clear that she really knows her stuff. 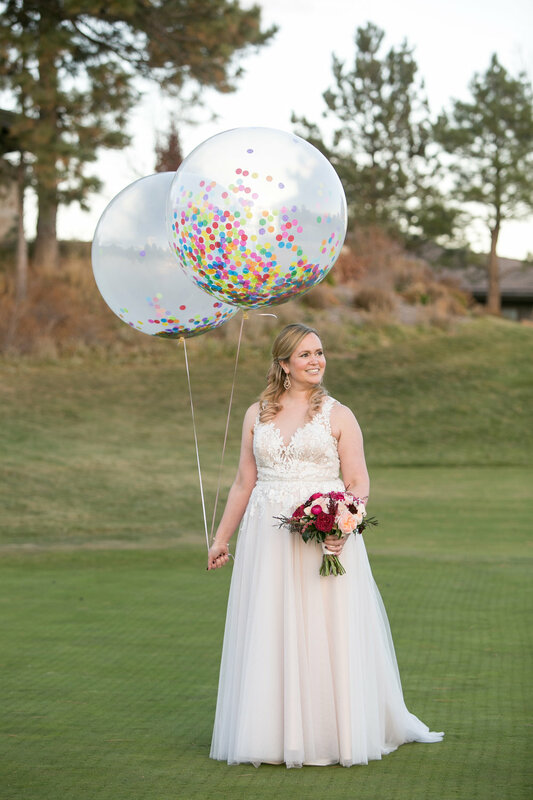 While each dress was gorgeous in its own unique way, we all knew Liz had found her dress when she came out with tears in her eyes. We all knew it was the one. The Madison James stunner of a dress was absolutely gorgeous on Liz. I know she can’t wait for her big day where she will forever be joined to her fiancé, Lee in October at The Sanctuary Golf Course in Sedalia. 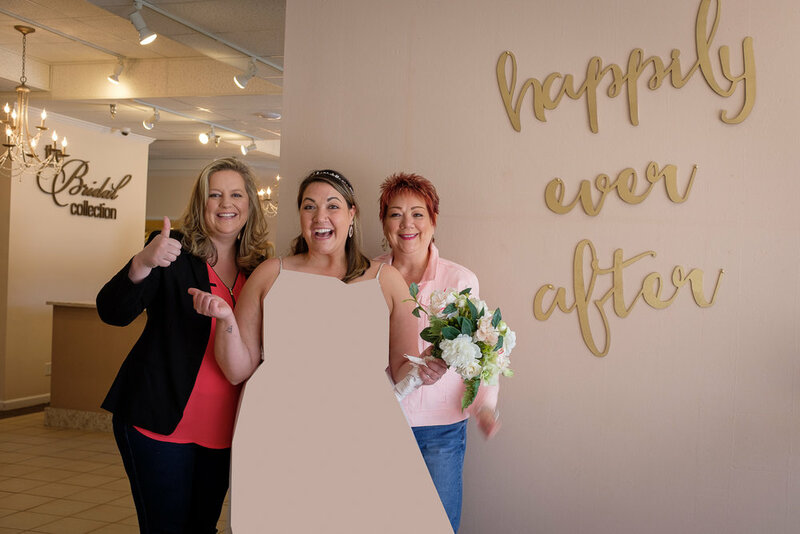 Our happy bride Liz has selected a dress with the help of her BFF; Ann Marlin of Cloud 9 Weddings; Melissa Childs, 2011 Wedding Pink bride and the fabulous stylist Jordan from The Bridal Collection. 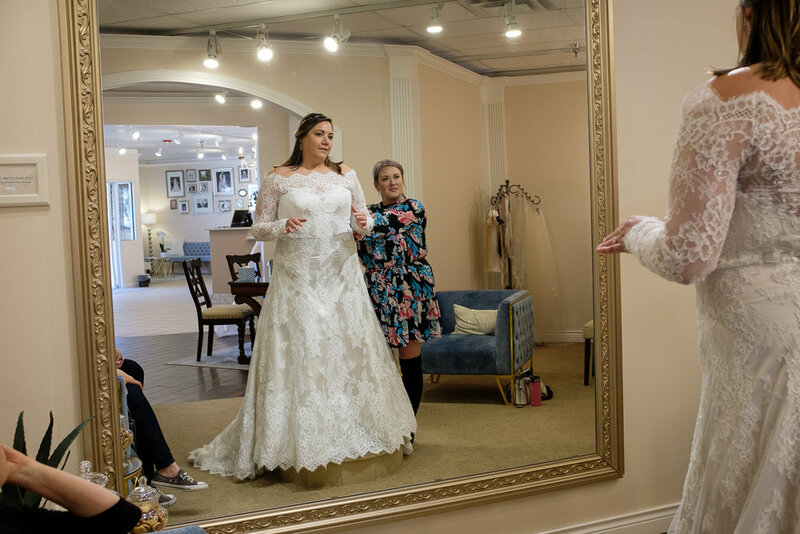 Our appointment at The Bridal Collection was my first time meeting Liz in person, but I couldn’t help but feel emotional myself. After all, what does a wedding dress represent? It signifies love, commitment, and unity. 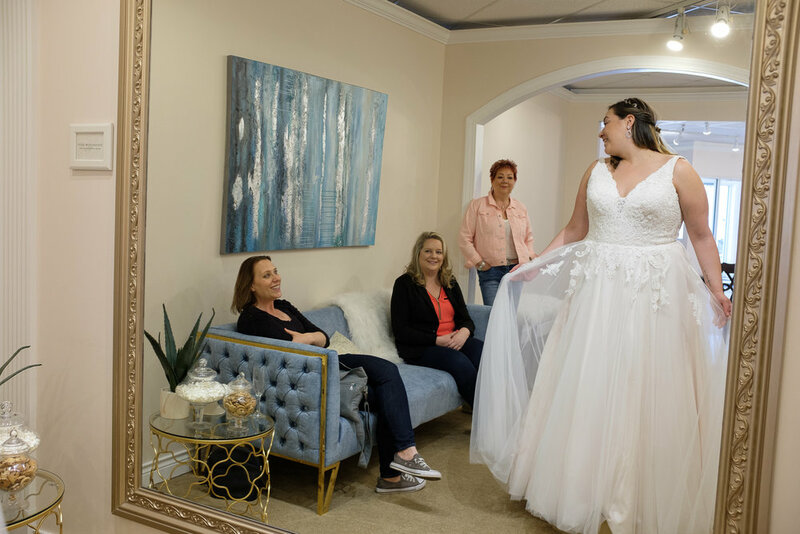 But for our brides, who are also breast cancer survivors, the wedding dress is a reminder to us that we fought through something horrific and we came out on the other side, survivors. We live to see another day and we get to experience a wedding with the love of our lives. For a brief second, we forget what we went through, and bask in the realization that our wedding day is approaching. 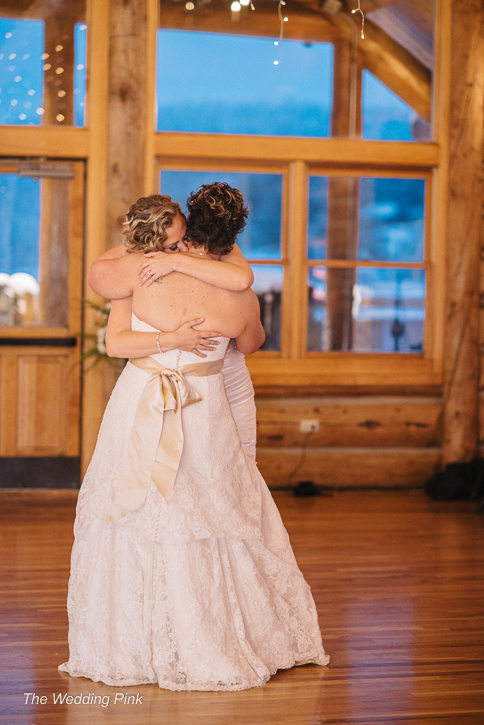 As we wear this wedding dress down the aisle, everyone’s eyes are on us, yet our eyes are firmly fixed on the one person in our lives who has been in the trenches with us; our support system who loves us for who we are – scars and all. The wedding dress makes us feel like a princess. In the mirror, we don’t see a cancer patient. We see a bride ready to start our lives with our one true love. We are eternally grateful for The Bridal Collection’s continued support of The Wedding Pink and for helping our brides’ dreams come true. Thank you from the bottom of our hearts. 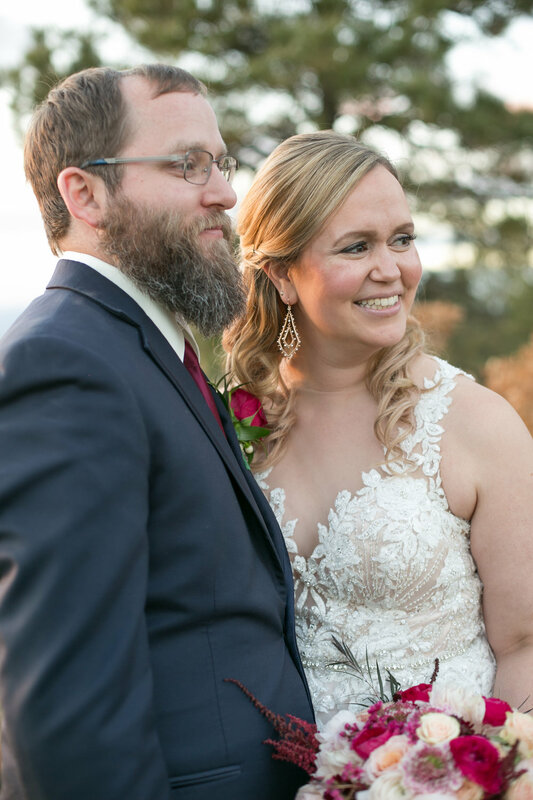 We are beyond thrilled to introduce Liz and Lee, the recipients of The Wedding Pink 2018. 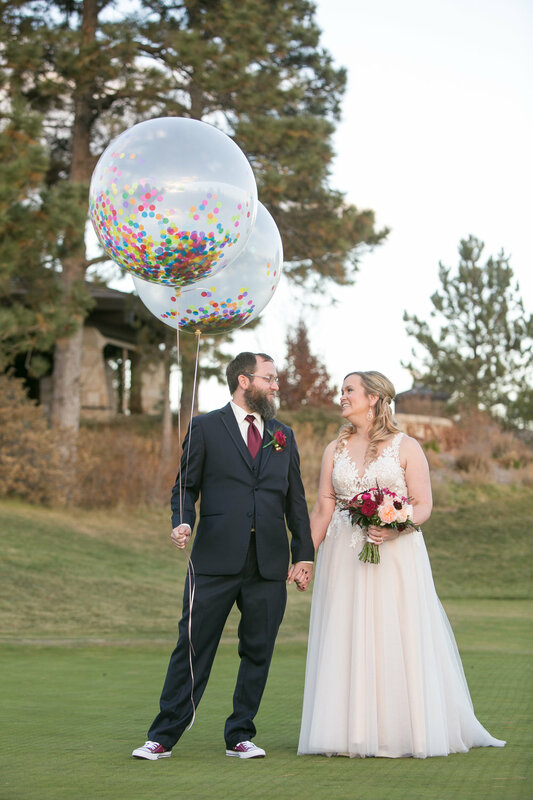 We look forward to following their wedding planning journey leading up to their big day on October 25 at the Sanctuary Golf Course in Sedalia, Colorado. You may read more about Liz and Lee here. There is so much to be thankful for and we appreciate all of the support we have received over the years from everyone particularly the vendors and donors. Without them The Wedding Pink would not be possible. We have two big announcements to make. First off we have just launched our beautiful new website, huge thank you to our 2014 bride Erika for the lovely redesign. 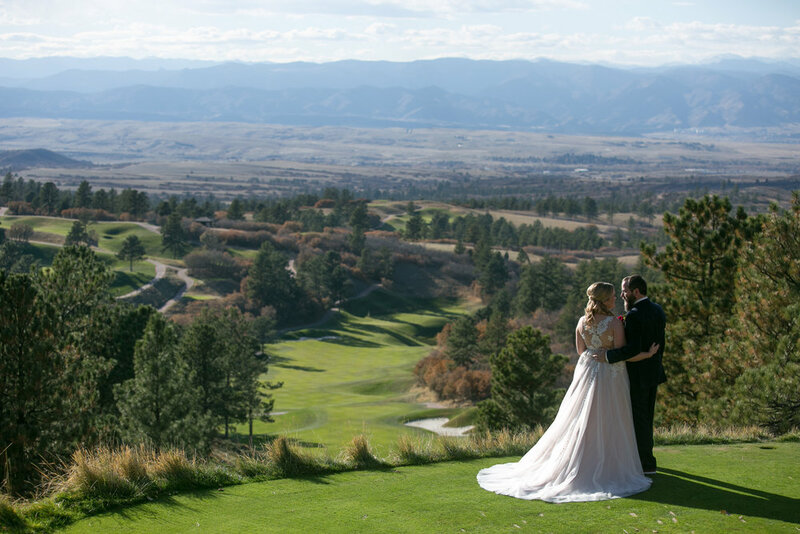 And, drumroll please, The Wedding Pink 2018 will be held at the Sanctuary Golf Course in Sedalia, Colorado on Thursday, October 25. We are beyond excited to partner with this exquisite venue. 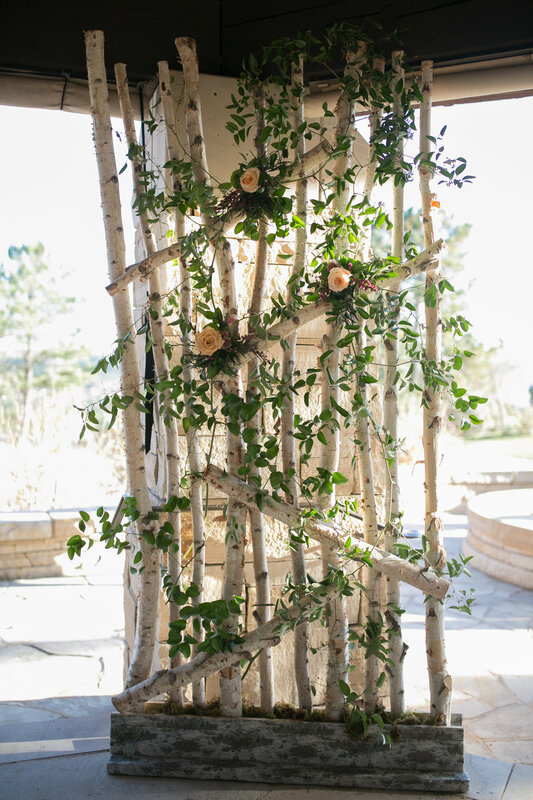 It's a true Colorado destination wedding venue that you and your guests will never forget, just south of Denver, yet a world away. 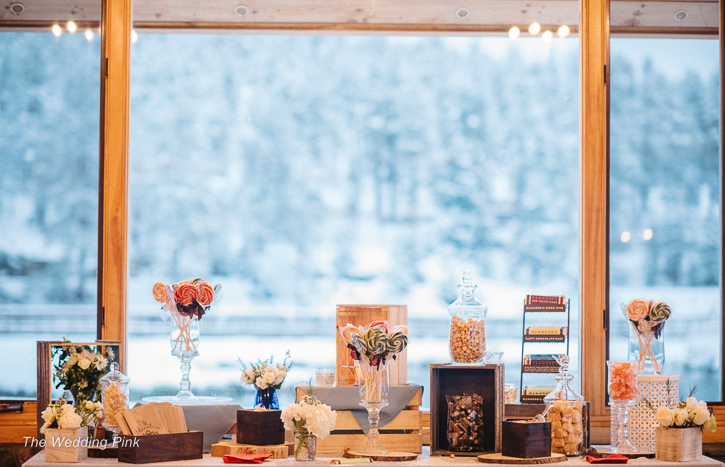 Surrounded by mountain views the breathtaking clubhouse is nestled amongst unrivaled scenery in the foothills of the Rocky Mountains of Colorado. 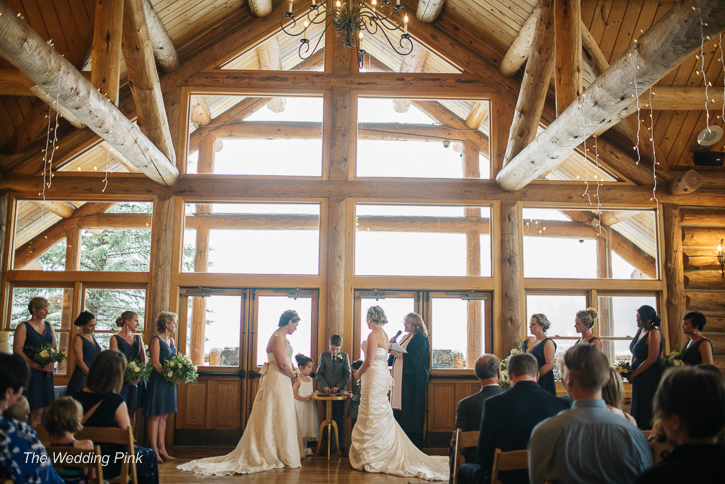 This beautiful venue has multiple fireplaces, custom wood details and intricate stonework creating a rustic Colorado feel. 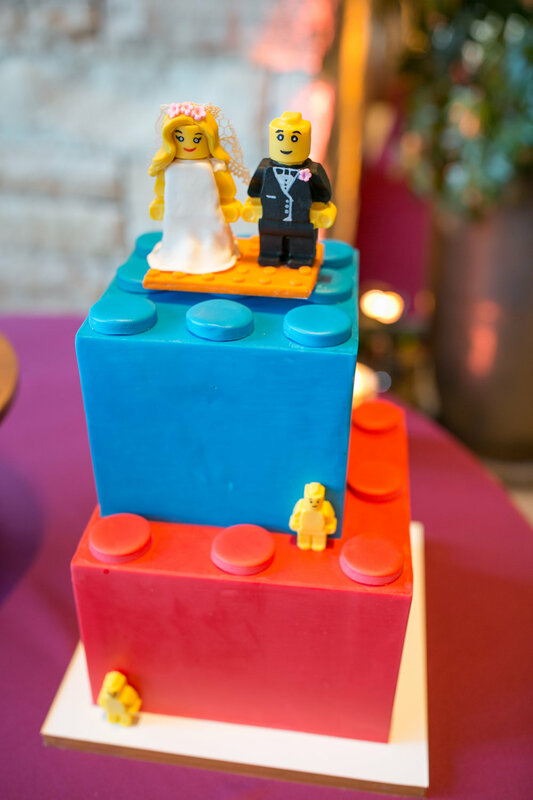 Please visit our submissions page if you or someone you know would like to apply for the wedding. Thank you Denver Channel 7 for the lovely story! Wedding Pink Wedding from Dan Hosea on Vimeo. We are thrilled to have wrapped up our 7th annual Wedding Pink. 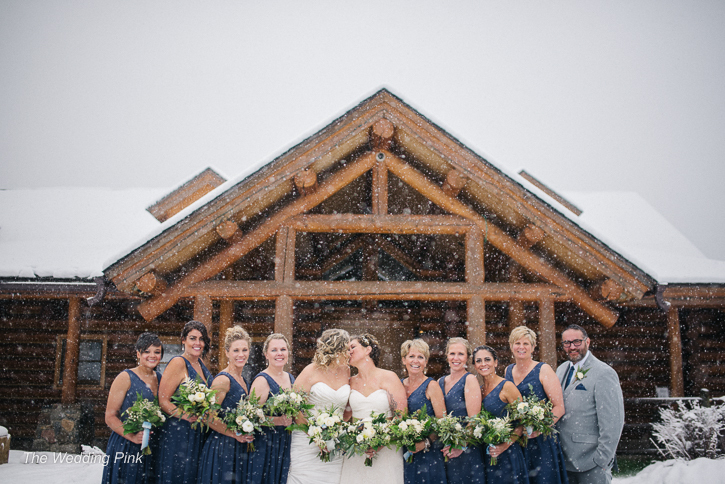 Despite an unexpected and unusual May snow storm it was a beautiful wedding. 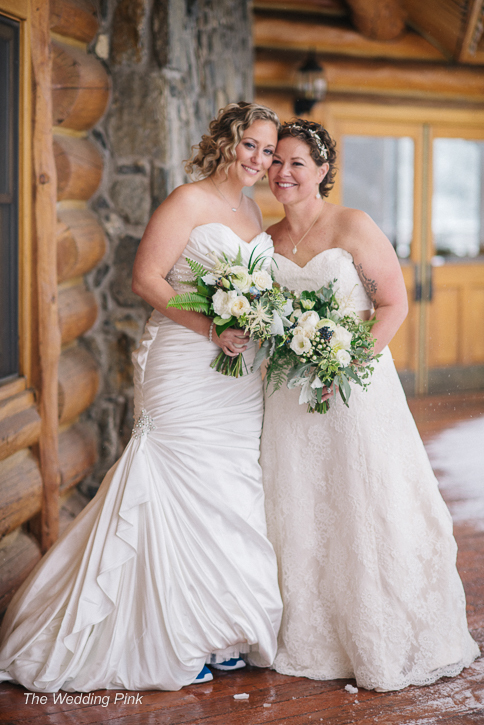 Here is a sneak peek of Laurie and Jessie's special day. 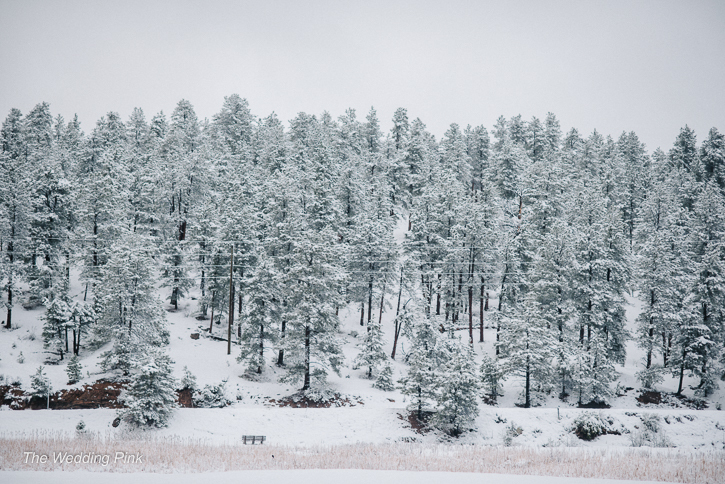 A gigantic thank you to Ali & Garrett Photographers for their beautiful photographs. As most of you know Laurie and Jessie were recently in town to meet with vendors and plan their upcoming wedding. One of the stops they made was to pick out dresses at The Bridal Collection. We wanted to extend a huge thank you to them as they donated brand new dresses to both of the ladies. We all had a fun experience watching them try on and pick out their special dresses. Don't worry, we aren't spoiling the surprise. The dresses that they picked are not shown below. We are proud to introduce the recipients of The Wedding Pink 2017, Laurie and Jessie. 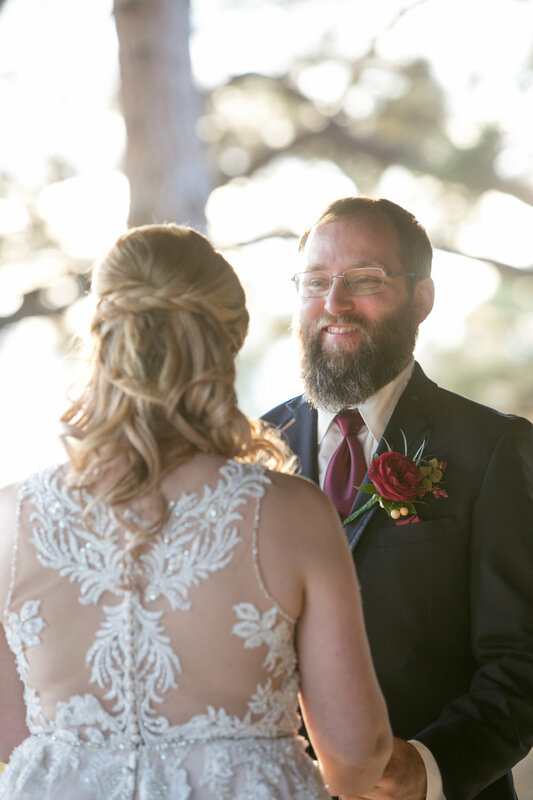 We are honored to be offering them a silver lining with a beautiful wedding ceremony after enduring a long year of surgeries, doctor appointments, chemo and radiation. Laurie and Jessie will tie the knot on May 18 at the Evergreen Lake House. Their beautiful story can be read here. Thank you for the lovely story Denver Channel 7! The Wedding Pink 2017 will be held at the Evergreen Lake House on Thursday, May 18. 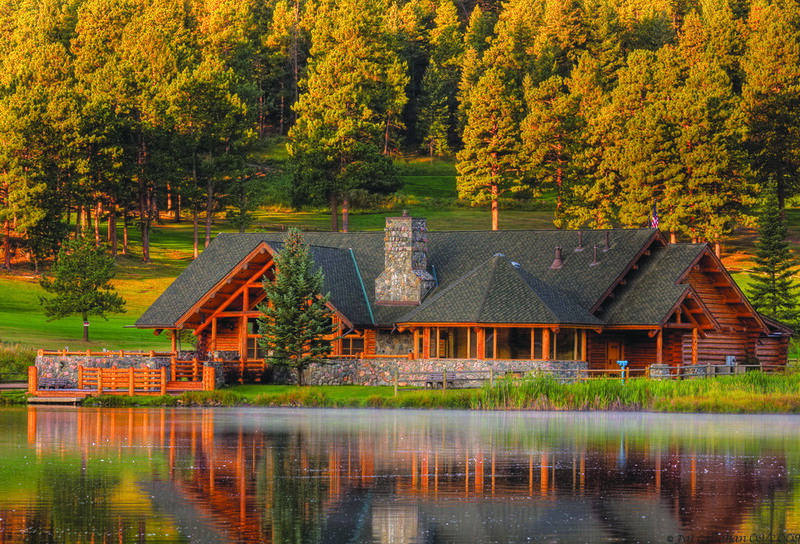 Evergreen Lake House is the crown jewel of the mountain community in Evergreen, Colorado located approximately 40 minutes west of Denver. 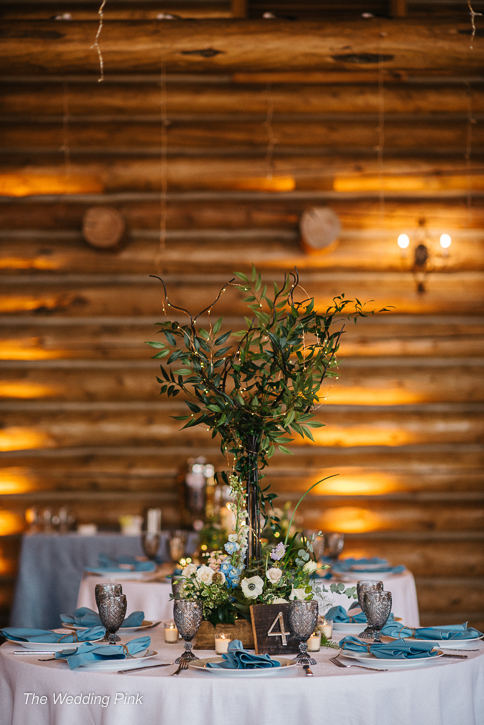 We are thrilled to be partnering with the Evergreen Lake House for our next wedding. The venue is beautiful and will be a perfect location for our 7th annual wedding. 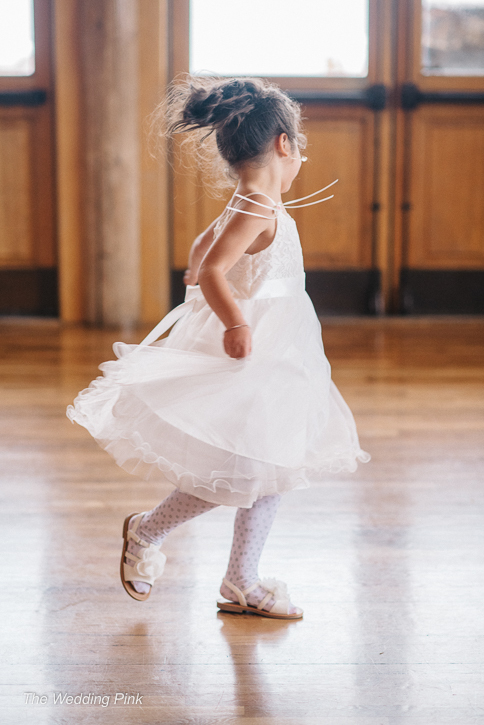 We have to share this quote from The Wedding Pink 2016 flower girl. 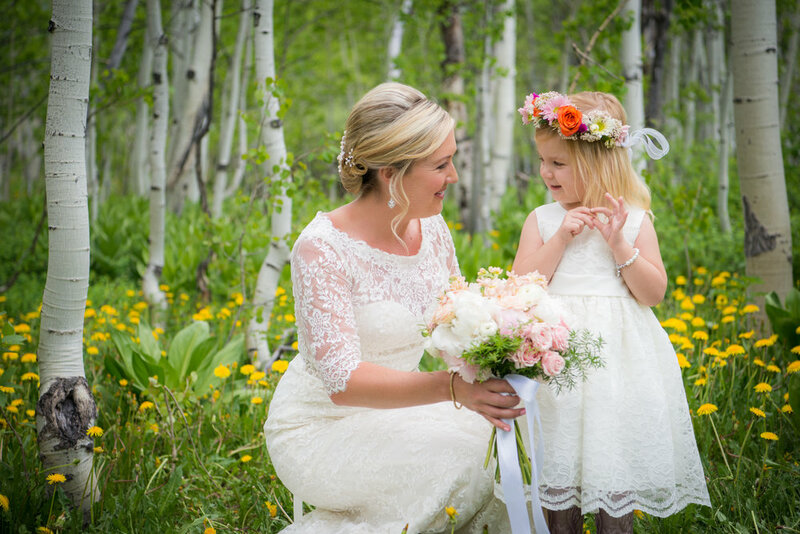 Lauren and the flower girl. 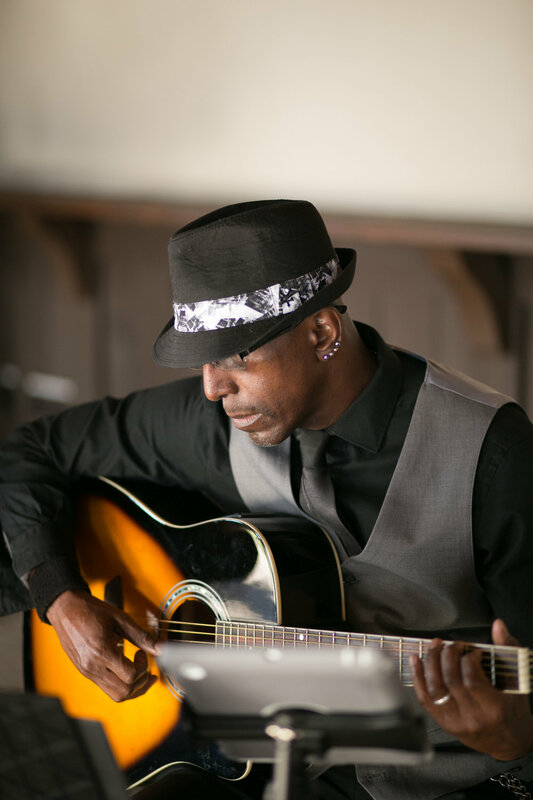 Photo by Sweet Tea Studios.